On April 2 1832 the St Ives Chronicler, aka John Tregerthen Short (JTS), wrote in his diary that the demolition of the old market house had begun. He noted that the old building had been constructed in 1490. On 26 April 1832 JTS noted that “the first worked stone was laid in the new market house.” JTS does not record when the new building was completed but an editor's note in the diary records that the corporation financed the new construction by borrowing £800 at 5% interest and a gift of £100 from James Halse. The note also refers to the dilapidated state, inconvenient structure and lack of accommodation in the old building. Halse was the majority shareholder in St Ives Consols mine and in 1832 he had just completed the building of Halsetown, the company village where many of the Consols workers lived. Halse was also the sitting M.P. and would be a candidate in the forthcoming election. This election was the first to be held following the signing into law of the Great Reform Act, the election was held in December 1832 and January 1833 and one is tempted to think it possible that Halse's 'gift' was made very much with the forthcoming election in mind. 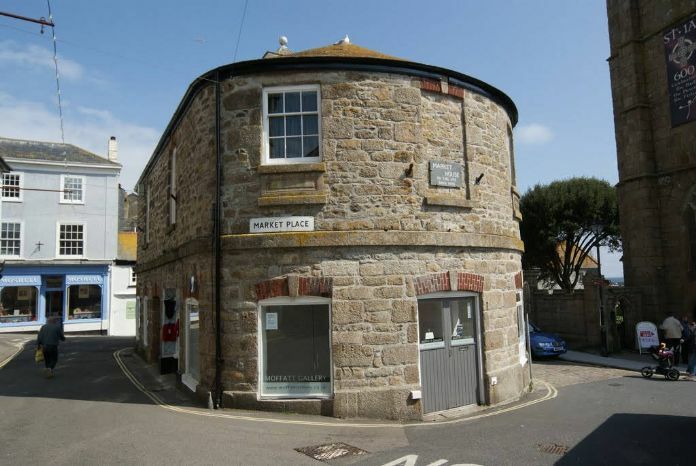 The market house of 1832 still stands in St Ives.